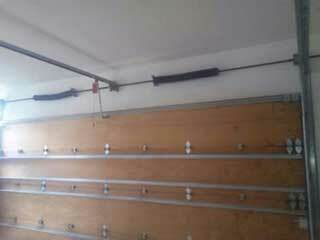 No matter the make or model, your garage door is dependent your springs. These tightly wound coils harness a great deal of force and release some of that power to enable the raising and lowering of your door. Carrying the weight of your door in this way can be dangerous if your springs are not carefully maintained, a spring that takes too much strain is prone to snapping, which may cause your door to fly upwards or drop downwards suddenly. Fortunately, our technicians understand these risks and are ready to find solutions before it’s too late. How Dangerous Are Garage Door Springs? Compromised springs will be less effective when it comes to performing their roles safely, and broken springs can shut down the door system for good. If your door is slow or unresponsive, these may be signs the springs are becoming worn through overuse. Speak to one of our experts regarding what to do next – we will examine the door and advise you on whether your springs just need adjustment or whether it would be better to install a new set. All it takes to shut down your garage door is for a spring to break. In the ordinary course of opening or closing, your door activates the springs to do the heavy lifting. It's the springs which manage to pull your door off the floor, and lower it down again gently. Over time though, and the more your door is used, these springs can become weakened –in these cases, they may become less adept in maintaining control. The result: your door may drop suddenly and without warning, striking or even trapping anything or anyone in its path. Your garage door is a complex system that deserves expert care. Keep your family and pets out of harm’s way by investing in a regular maintenance plan for your springs and replacing them when necessary - contact Garage Door Repair North Hollywood today for great service, every time!